Memorial Day is national holiday where American soldiers who have died are remembered for their active military service. Trans States is proud to share the reflections of military pilots Joshua Groth, Randall Zehnder, and Dennis Cruz this Memorial Day. Read more to learn why they serve(d) their country and how they applied military skills in commercial aviation careers with Trans States. Seeing his father serve as a Crew Chief and fly helicopters in the army strongly inspired Josh to follow suit. Coming from a patriotic and military-centric family, the apple didn’t fall too far from the tree when Josh decided to join the army. Currently, Josh serves as an Army National Guard Rotor Pilot as well as a First Officer with Trans States Airlines. He notes that there are remarkable similarities with each role. This Memorial Day, Josh honored his fallen armed force colleagues by flying a helicopter during a memorial service at a local veteran’s cemetery. Captain Randall Zehnder at Tall Afar Air Force base. Captain Randall Zehnder (Randy) served in the Air Force for five years and the Army National Guard for 25 years—retiring with 30 years of military service. Randy’s story is much like Josh’s in that his father also inspired him to explore aviation at a young age. When Randy initially enlisted, he began focusing on obtaining his commercial pilot’s license and instrument ratings. After leaving the Air Force, Randy joined the Army National Guard to take a rotary wing qualification course, and later became interested in transitioning from rotor to fixed wing flying. Captain Randy’s career progressed, serving in management with Trans States for 20 years, and he has spent the last eight years training flight students and working as a System Chief Pilot. This Memorial Day, Randy spent his day relaxing with his wife and remembering those who died in the line of duty. First Officer, Dennis Cruz and family upon his homecoming from deployment in Winter 2014. First Officer Dennis Cruz began his aviation career as a response to a need. Dennis served in the Marines for 20 years before joining Trans States. He was able to transfer skills such as flexibility, attention to detail, and his passion for safety to his new commercial aviation career. “Trans States was the first airline I contacted! I had heard great things from a friend who was employed with the company.” Dennis said. Success and advancement have trailed Dennis’ career. Dennis left Trans States in an attrition transition to American Airlines. Despite his current position at a coveted major airline, Dennis admits that he misses the dynamic he had with his Trans States colleagues. “I genuinely miss the group of pilots I worked with at Trans States because they were all a great group of men and women to fly with.” Dennis said. Dennis spent his Memorial Day in Dallas, while attending basic INDOC training. To learn more about Trans States’ military pilot program, visit https://bit.ly/2scQUUX. Back in 2010, I interviewed with three regional airlines. All were big names at the time. I was offered a position with two, and I accepted the one that I felt best fit what I was looking for. But I was a brand new commercial pilot, and knew very little about airline life. Long story short, it was not a positive experience. I had such a rough time working for them that I eventually quit and swore off an airline career altogether. Instead, I pursued a career in general aviation, accepting a position as the Chief Instructor of a 141 flight academy, while working other flying side jobs. After two years at the school, two of my instructors and friends left to work for Trans States, and they both listed me as a reference. Later, Trans States recruiting reached out to me through them as a potential candidate. Naturally I was hesitant to get back into the airline world. Yet due to my friends’ enthusiasm about Trans States, I decided that I at least needed to call the recruiters back, thank them, and tell them that I intended to decline the offer. But even though my response was “thanks, but no thanks,” a recruiter convinced me to come to St. Louis for an interview anyways. Off I went. I had no intention of taking the job. I wore a polo shirt and khakis because I was just taking the interview to be polite. I don’t think that I even tucked my shirt in. However, when I arrived, the interview was different than my previous airline interviews. The other three interviews I had done years before felt very cold and cookie cutter. At Trans States, I felt like the recruiter was more interested in who I was, as opposed to what I had memorized from an interview prep book. We had a very friendly conversation. While I was sitting there, a sim instructor dropped by and joined the conversation. I saw a very warm and friendly dynamic. Over the next few days, I hung around the airport and spoke with as many Trans States pilots as I could. Each one of them told me how much they liked working there. After much deliberation, I took the job! When I started training in 2014, the FAA changed over to the new ATP rules that we know today. When I passed my systems oral exam and the paperwork went to the FAA, Captain Stelzner, the System Chief Pilot, was informed that I was not eligible to fly at a 121 airline under the new ATP rules, due to a grey area in the new rules that I fell into with my ATP certificate. Captain Stelzner called me up to apologize, and told me that I was going to be cut from the course. But instead of firing me, he found me a position as a training scheduler so that I could have a job, maintain my seniority and stay with Trans States while I worked on finding a solution. A month later, the FAA approved my returning to the course. Within 12 hours I was back in a class, picking up where I left off. Trans States could have just pushed me aside as if I was just another pilot–and I was exactly that, just another pilot. But they didn’t. That same Captain Stelzner, who helped me find a solution rather than letting me go, is now our Director of Flight Operations, which is very comforting. When I interviewed with the other airlines in the past, despite being excited that I was offered the job, I felt that I was just a number to them. At my old airline, I most definitely just felt like a number on their roster, and was treated as such. At Trans States, Crew Scheduling knows me by name. They even called me to congratulate me on the birth of my son. Another time, I was on my way in for a trip when I got the news that my cousin’s wife lost her battle to leukemia overseas. I told my Regional Chief Pilot and he told me on the spot that I could go be with my family. He said would find a way to cover my flying. Just like that. All so I could be with my cousin during his loss. Having the benefit of seeing how it could be, I am glad of how it is here, at Trans States. I know that was long-winded but my point is that the people at Trans States care. That means a lot in the 121 world. There’s more to an airline than numbers, statistics, seats in the back, or if the engines are mounted on the wings or the tail. That’s us. We are green. We don’t have the sparkles of the bigger planes, but we have a great set of values and management that I feel truly cares. I enjoy coming into work because I love my crew members. Each one of them has become like an extended family member. Some are close like brothers and sisters, others are like your kooky aunt who you see once a year, but overall, they are good and fun-loving professionals that make each trip a joy. Trans States is a small company with a good heart. Hi! This is Chris Ashbach again. I’m back with another perfect layover idea. This time, I’m in Gunnison, Colorado. 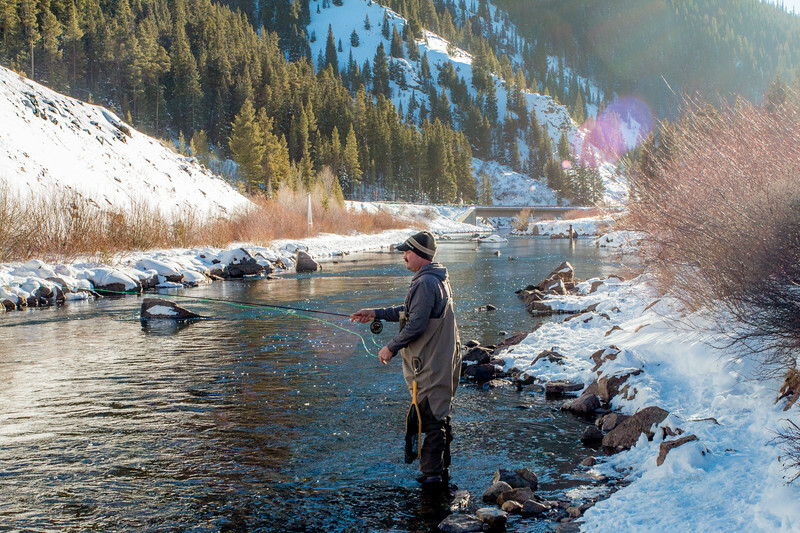 Gunnison is a year-round tourist destination that offers everything for the outdoorsman, from world class fly fishing, to hiking and skiing. Trans States Airlines has a regular layover here that arrives about lunchtime with a departure the next morning so you get to have the afternoon to explore this jewel of the Rockies. Our layover hotel is just north of downtown Gunnison. From the hotel, there are three things within walking distance that are worth visiting; downtown Gunnison, The Powerstop, and the Gunnison State Wildlife Area. For the more adventurous, I’d recommend trying fly fishing. You can also visit Crested Butte, or just take a tour around on the free Gunnison Valley RTA bus. Downtown Gunnison is an easy walk from our hotel. If you prefer, the van driver is usually more than happy to offer crews a ride to town though. Gunnison offers a few restaurants and some shopping. It’s a good way to spend a couple of hours on a nice afternoon. If you are looking for recommendations, check out The Twisted Fork which offers Asian influenced American food. For great pizza and an outdoor patio, visit High Alpine. On a recent trip, I really enjoyed The Bean cafe. 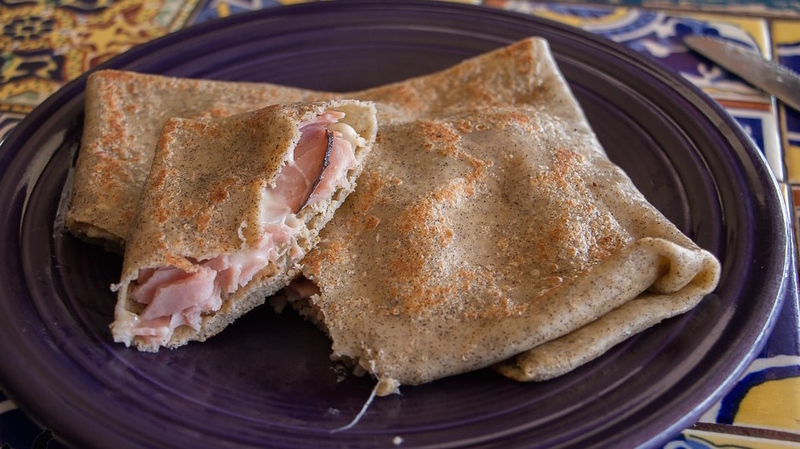 It is a little more hipster and has some great coffee and crepes. After several Captains told me it was one of the best burgers they had ever eaten, I had to try The Powerstop. While The Powerstop is an old gas station, it won’t take you more than one bite to know they make an absolutely killer burger. A short walk northwest from the hotel will bring you to a dirt road that leads both wanderers and seasoned walkers to this wildlife area. It is a gorgeous walk and a large loop through the wilderness. During the winters, you will see cross-country skiers. Other times of the year, you may see couples out for a sunny walk, along with the occasional runner. The wildlife area is very flat and is easily accessible. Clearly marked paths help keep you on the right track as you explore some of the natural beauty Gunnison has to offer. If you visit, make sure to walk all the way to the west, toward the large cliff face. Nestled next to the towering rock cliffs of the mountain you will see the Gunnison River tumbling and churning past you. It’s a perfect place to sit and read a book while the warm sun beats down on you next to the cool mountain water rushing by. If you are a little more adventurous, you have to see some of the rest of the Gunnison Valley. It offers a lot of outdoor recreation, shopping, and history to explore. The Gunnison Valley has a free bus that is scheduled throughout the day. Getting on the Gunnison Valley RTA is simple; the nearest stop is a stones throw from our hotel. The front desk has a schedule and can give you directions if needed. 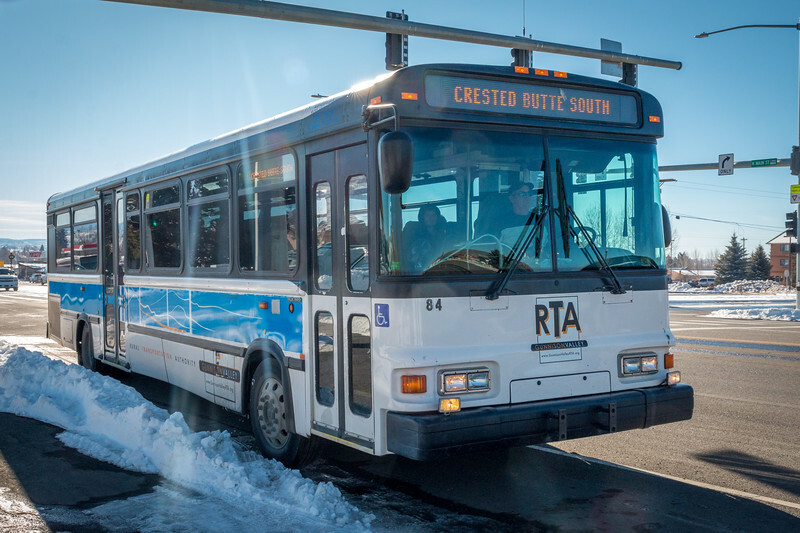 The RTA runs between Crested Butte and Gunnison and makes several stops along the way. I caught this bus at the corner of Spencer and Main. Along the bus’s route, three stops worth noting for our layovers: First, the historic district of Crested Butte. Second, the Crested Butte Mountain Village and finally, the Three Rivers Resort in Alma for fly fishing. This stop is a flag stop and you have to tell the bus driver or the bus will continue without stopping. To get picked up here, just wait at the stop to waive the bus for your return. 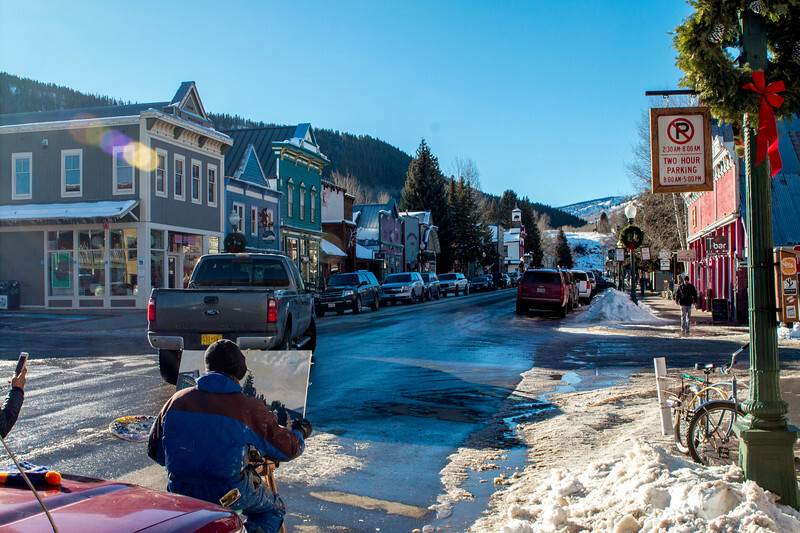 Crested Butte was originally settled in the late 1800’s as a hard rock mining town. Today, visitors can step back in time and experience the sense of adventure the first explorers must have felt when they see this historic town. To get here, simply take the valley transit bus and get off at the “Crested Butte 4 Way” stop. As you exit the bus, you will be directly in front of the Crested Butte visitors center, which is at one end of the four-block-long historic district. 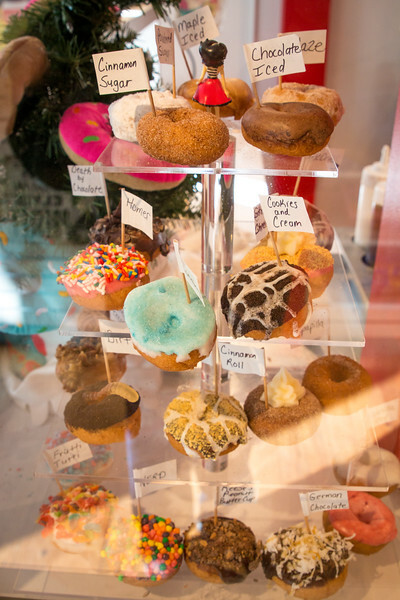 Enjoy shopping, dining, and even a gourmet donut shop while you are in town. I’d like to tell you that I had enough self-control to avoid Nikky’s Donut Shop while I visited. But that would be a lie… Look at how good these little guys are! 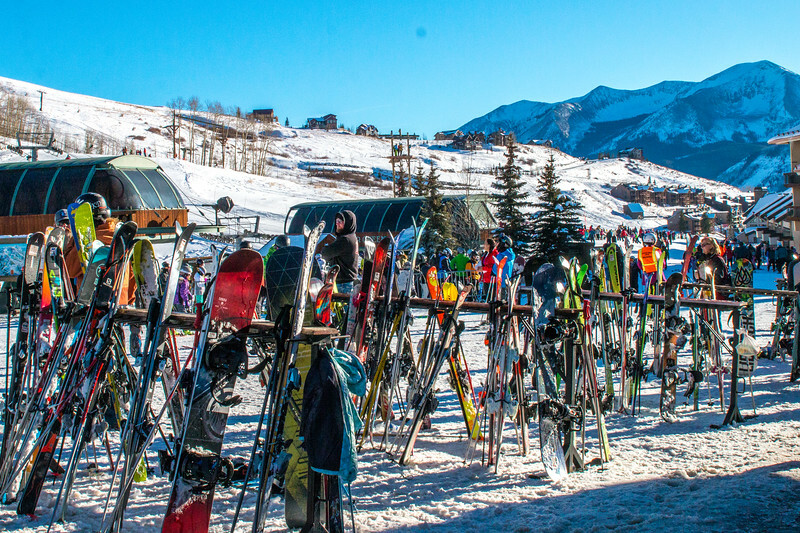 Mountain Village in Crested Butte is the entryway to world-class skiing on Mount Crested Butte. Nestled at the foot of the ski resort, Mountain Village offers direct access to the hills. I tried to get a half day pass. So you know, between the rentals and the pass, it came to about $180. You can check ahead of time to see if they have any specials at 877-547-5143. If that is out of your price range, you can still visit the public square and the patios with scenic views of the resort. It’s a great place to people watch, get something to eat and enjoy some fresh mountain air. Fly Fish the Gunnison or Taylor Rivers. The Three Rivers Resort and Outfitting in Almont has a fly shop that offers guides, rental gear, and plenty of advice for a new fly fisherman. 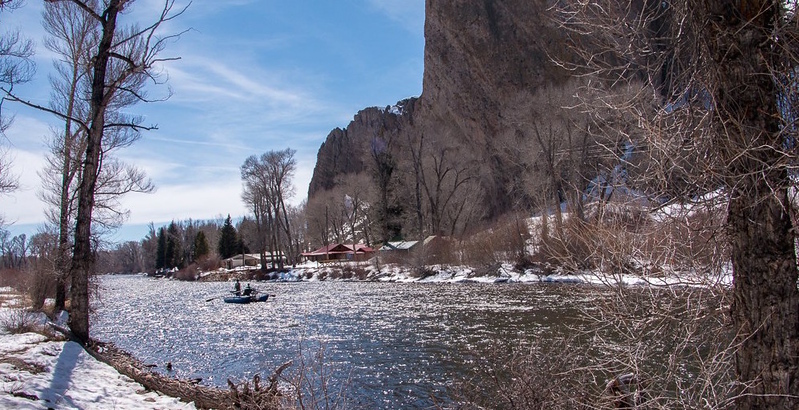 Many people don’t know that the Gunnison Valley has some of the worlds best fly fishing and many of Colorado’s record fish have come from the Taylor River, a tributary to the Gunnison River. I took the crew out last January for some winter fishing and made this video to share what a beautiful place this is. Why is the Taylor River such a unique place to fish? It is protected from large amounts of fishing pressure by its remote location and the Taylor Park Reservoir which feeds the lower Taylor River. It has produced many trophy fish because it is filled with high-calorie mysis shrimp. Many decades ago, in an effort to bolster Colorado’s fishing, mysis shrimp were introduced to the reservoirs as food for the trout. These shrimp were originally harvested from the Great Lakes and thrive in very sterile low-nutrient waters and were thought to be a perfect match for the very pure mountain water reservoirs. For various reasons, only a handful of reservoirs successfully hosted and then fed the shrimp to these trout downstream. The Taylor River is one of the success stories of this project leading to very large and abundant trout for anglers to hook. With trophy-sized Rainbow, Brown, and Brook Trout calling us just minutes away, I convinced the Captain to split the cost of a rental car with me. We did some serious team building by renting fly gear and hitting this exceptionally rare honey-hole of a river with a couple of fly rods. We braved the mid-January cold and headed up to the Taylor River reservoir. To get there, drive 15 minutes to Alma, rent your gear, and then continue 20 miles up Country Road 742 to the dam. The road twists and turns along the river bank among the high peaks of the mountains on both sides. As you drive, you will see well-marked let-in places to fish. I recommend starting at the top by the reservoir and working your way down. Culture. Community. Camaraderie. You’ll find it all at Trans States. Click here to learn more about careers at Trans States and to apply online. This article was written by Chris Ashbach, MA; a First Officer at Trans States Airlines, professional speaker, blogger, and photographer. If you liked “The Perfect Layover In Gunnison” please read “A Winter Wonderland in Sioux Falls.” Chris owns the travel site VacationTripReviews.com and a food blog FourKidsAndAChicken.com. In addition, Chris owns LiveDan330.com and his brand has been recognized by the Wall Street Journal, Investment News Magazine, and IZEA, Inc. You are welcome to read more about Chris on ChrisAshbach.com. Chris is also a featured gardener in the upcoming book on Straw Bale Gardening by New York Times best-selling author Joel Karsten. My name is Chris Ashbach, and I’m a First Officer with Trans States Airlines. If you’ve ever flown with me and tried to lift my bag out of the closet on the aircraft, you know that I bring around 20 pounds of camera gear with me whenever I fly. Before joining Trans States Airlines I was a professional travel blogger. Now that I’m a First Officer at Trans States, I’ve combined my love for flying and my love for travel into a monthly blog article highlighting some of the amazing destinations that we serve, along with not-to-be-missed activities for overnighting crews. First up … Sioux Falls, South Dakota. 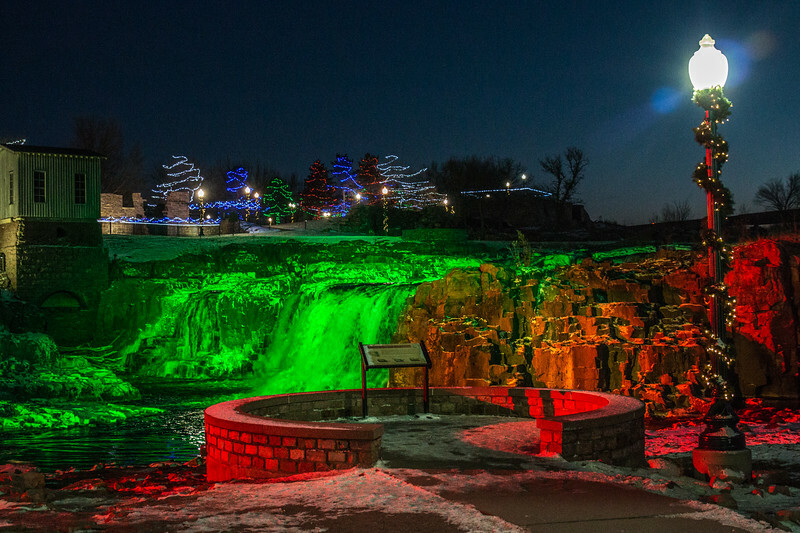 Sioux Falls is a thriving city in southeast South Dakota. The city is famous to Midwesterners as a stopping point along Highway 90 for road trippers before they get to the infamous Corn Palace in Mitchell as they continue on their way through the plains and the Black Hills toward the Rocky Mountains. 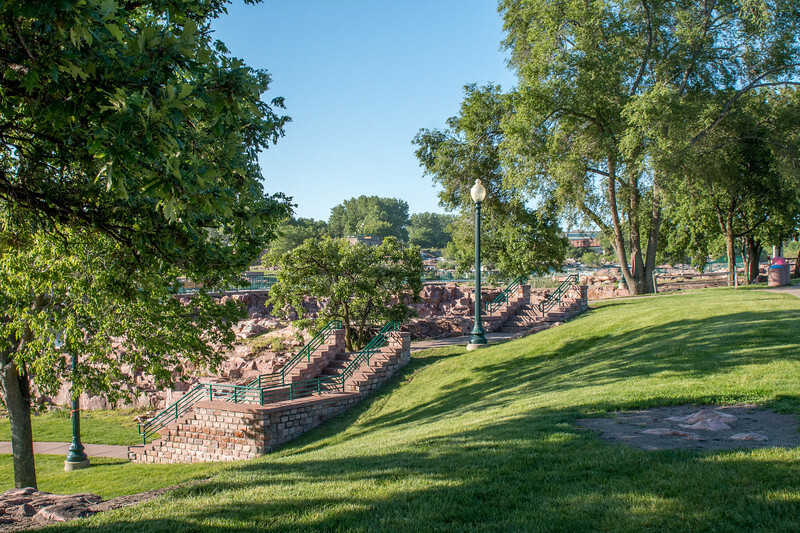 For tourists, the city of Sioux Falls is most famous for its rambling waterfalls that stretch over a rare quartzite rock formation in what is now Falls Park. But the city is much more than just a rest for weary road trippers. Trans States serves Sioux Falls with regular flights supporting the vibrant economy of this little-known gem of a city. While most people don’t think of the Dakotas as a particularly exciting winter destination, if you do make the trip, the warmth of the people is all you need to survive the cool weather. 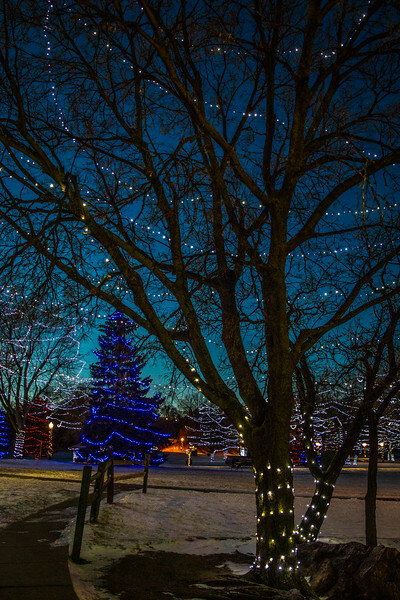 For a perfect day in Sioux Falls, I recommend a visit to Winter Wonderland in Falls Park, followed by a chance to warm up in Downtown Sioux Falls with some great barbecue. Both are an easy walk from our crew hotel. Falls Park is one of the most searched-for attractions in South Dakota. Visitors can find Sioux Falls’ namesake here as they watch the Big Sioux River tumble and toss through the rocky outcroppings of the park. The below photo was taken just after sunset, truly one of my favorite times of the day. 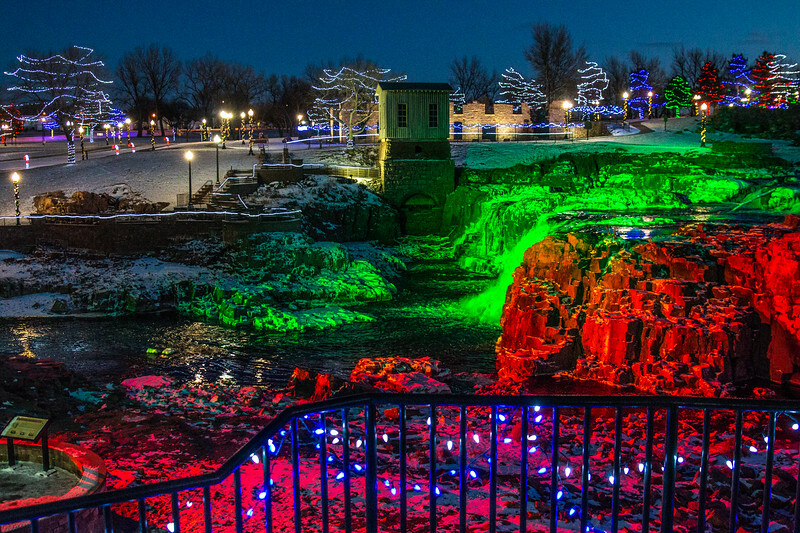 These falls are the gem of Sioux Falls, and are the very place the city was first formed. A stone building where the first settlers milled their crops still stands by the bustling river. Today the city celebrates its history and the natural beauty of this place through what is now called Falls Park. With lighted, paved paths, Falls Park is the perfect place to walk, bike, or run around historic sites and waterfalls, day or night. If you visit from early November through early January, you’re in for a special treat. 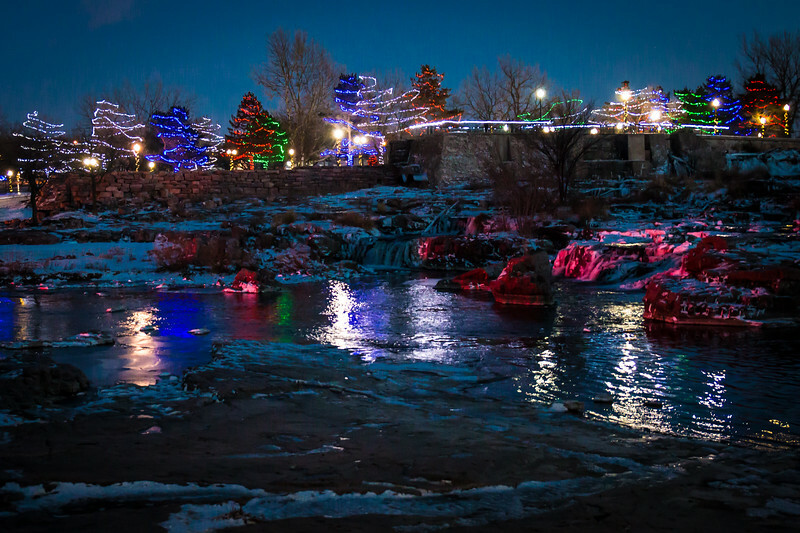 The city’s “Winter Wonderland at Falls Park” adorns the beloved falls with holiday cheer, and features over over 25 miles of lights and colored LED spotlights. From the crew hotel, head north about one block on Phillips Street, and then catch the trails from the park entrance. Find the plowed walkway through the field on your right, and you will descend into a rare quartzite patch worn bare by the river. After a short walk, the falls will appear in front of you as they fall away into the lower levels of the park. The largest part of the falls’ drop is found near an observation deck down this path. Don’t miss a stop here. It’s beautiful. Perched on a nearby hill you can stop at the Falls Park Visitors Center and observation deck to warm up before you continue on. The city built this outlook to take advantage of the beautiful park and downtown area past it. Outdoor speakers play holiday music, and I saw more than a few couples out walking, just enjoying the fresh nighttime air and magical views. 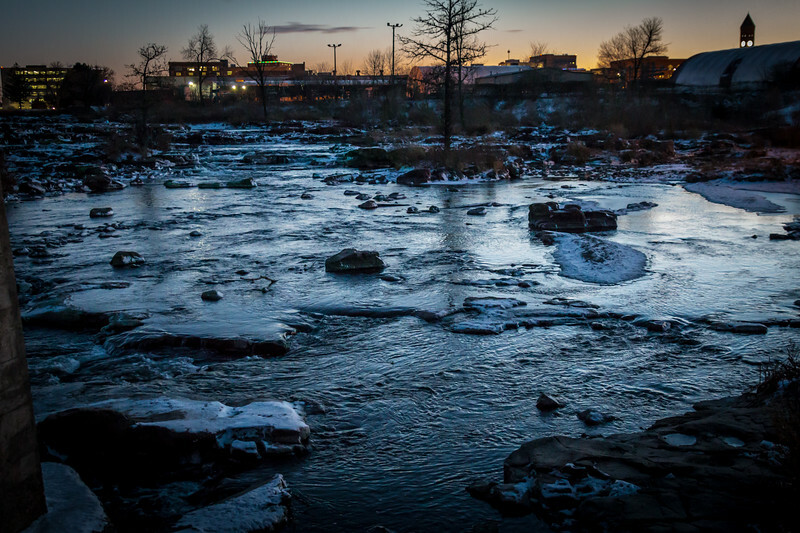 After your walk through Falls Park, head downtown to warm your belly at one of Sioux Falls’ fantastic restaurants. On your way, don’t just take the streets back. Enjoy the rest of the Winter Wonderland by walking the paths south to 10th street and then cut west one block to get downtown. Downtown Sioux Falls is loaded with great restaurants and eateries. The downtown area starts one block south of our layover hotel on Phillips Avenue. Some of our crews’ favorite eateries include JL Beers for a good craft burger and MacKenzie River Pizza. 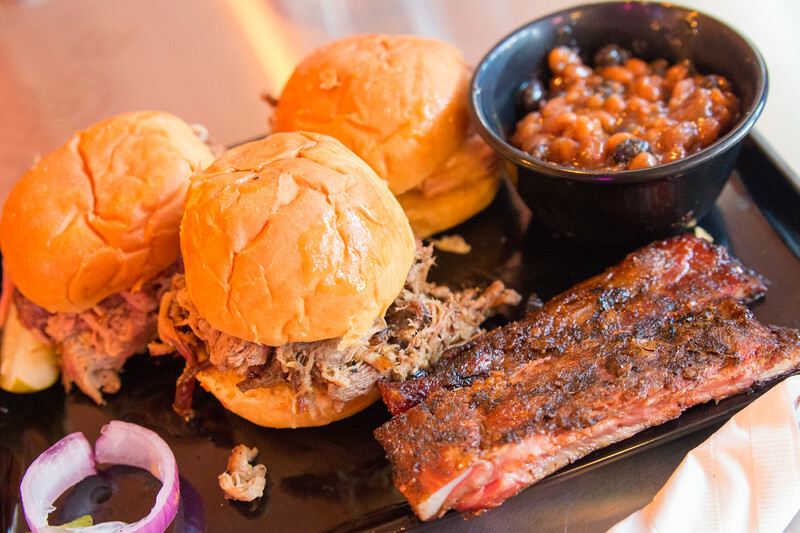 During my most recent layover, I stopped at BackYard BBQ, right in the heart of Phillips Avenue, for some authentic BBQ. 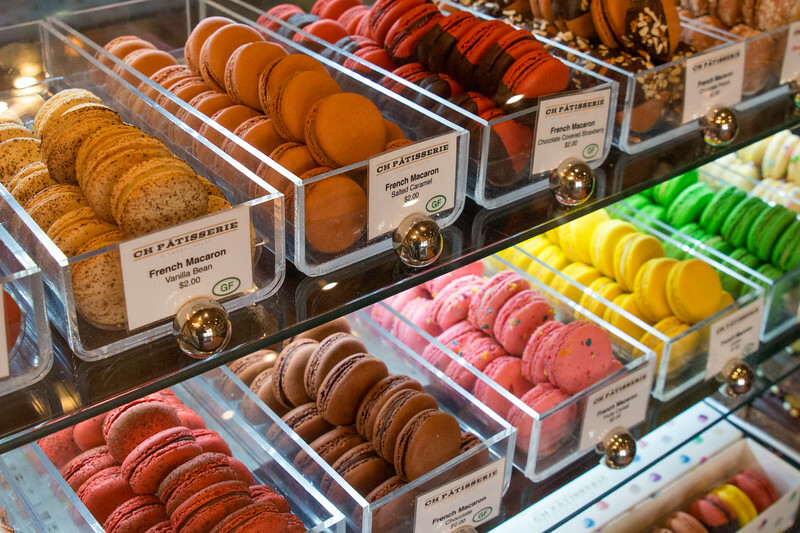 On the way back from dinner, don’t miss CH Patisserie for a French macaroon or another tasty treat to enjoy back in your room. After a good nights rest, we were back as a crew for our hotel pickup headed for Joe Foss Field. A few legs later and we were ready to explore another city the following night. This article was written by Chris Ashbach, MA; a First Officer at Trans States Airlines, professional speaker, blogger, and photographer. 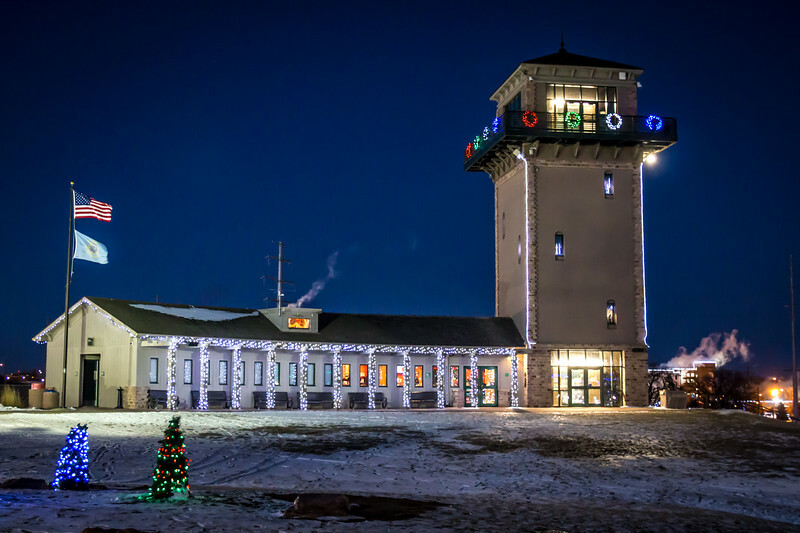 You can learn more about Sioux Falls Tourism on Chris’ travel blog. Chris also owns LiveDan330.com and his brand has been recognized by the Wall Street Journal, Investment News Magazine, and IZEA, Inc. You are welcome to read more about Chris on ChrisAshbach.com, or enjoy his food blog, FourKidsAndAChicken.com. Chris is also a featured gardener in the upcoming book on Straw Bale Gardening by New York Times best-selling author Joel Karsten.